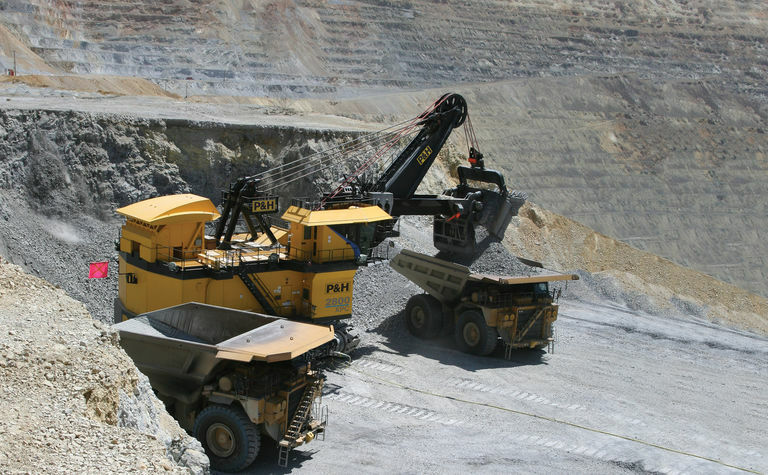 More than 90 ABB AC drives are in operation on Komatsu's customer mine sites around the world, working in harsh environments in both cold and warm climates, typically in hard-rock mining applications. The company explained that the recent order for its ACS880 multidrive line-up underlines this long-term partnership with Komatsu. ABB will provide Komatsu with the ACS880 multidrive line-up with back-to-back installation, including a common base frame and cabinet roof. 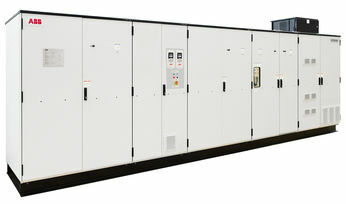 Comprising one IGBT supply unit and modified with a non-standard DC charging circuit and up to eight motor inverter drives, the shovel controlled by the ACS880 multidrive operates at low-voltage AC. Using individual motor inverters for all drives can also increase production up-time. 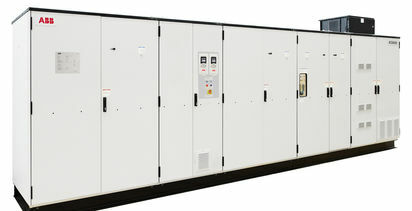 ABB said its AC drives for open-pit shovels are compact, robust units that are modified to withstand shock and vibrations - essential technology for shovel reliability and productivity; the ACS880 multidrive, with direct torque control (DTC), delivers fast dynamic performance at low motor speeds and prevents premature aging of power components. "Using high-efficiency motors, AC technology provides better overall drivetrain efficiency than conventional DC applications," said Boris Rathmann, product manager for shovel & dragline at ABB. 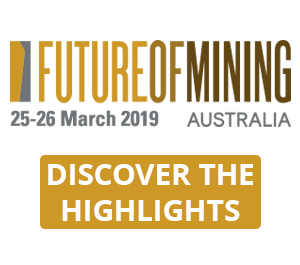 "Due to the extreme conditions in open-pit mining, the challenge is to deliver a solution that operates reliably 24 hours a day, 365 days of the year and provides optimum power for the load cycle requirements of the shovel. "This latest order comes 15 years after the company's first order for ABB drive technology to support P&H shovels and takes our fleet of ABB AC drives for shovels to a milestone figure of 100." Patrick Singleton, product director for shovels at Komatsu, commented: "The joint technology development partnership between Komatsu and ABB has been cultivated over 50 years. 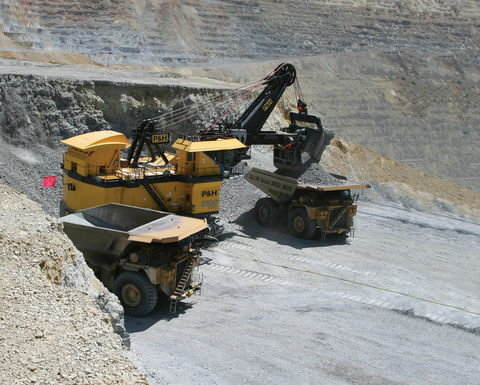 This period has seen the melding of best-in-class technology, available at the time, up to and including the joint development and integration of AC motors and drives into electric mining shovels beginning in 2007 with the 4100C BOSS AC. "The AC product has provided unparalleled levels of system responsiveness with the fastest cycle times, equipment availability and overall machine performance. 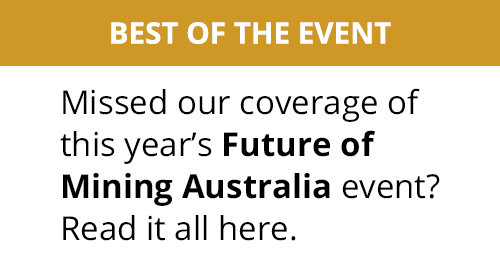 ABB's significant presence within the mining sector combined with Komatsu's engineering, service and support network results in an understanding of the hardware demands being placed on the electrical system of a shovel. This unique perspective drives component reliability in a challenging environment with extreme cyclical loading, as well as shock and vibration, providing the benefits of overall system performance and benchmark levels of system reliability." ABB recently delivered AC drives for mining for one of the largest types of shovels available on the market; the P&H 4800XPC will go into operation later this year.